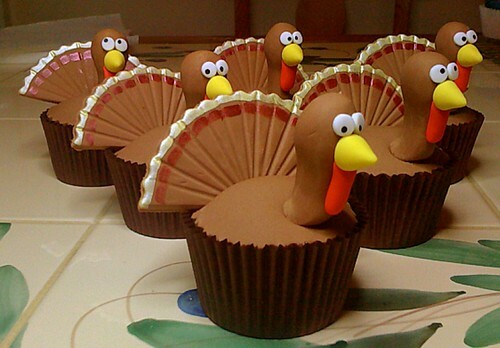 Thanksgiving Turkey Cupcakes, originally uploaded by Epiphany Cupcakes. These little little chaps were made for a friend of mine whose daughter is returning home from the states for thanksgiving. Only my second attempt at figurative modelling - great fun!